Nora joins WCRE in the newly created role of Marketing and Administrative Assistant. She brings five years of marketing experience across various industries. 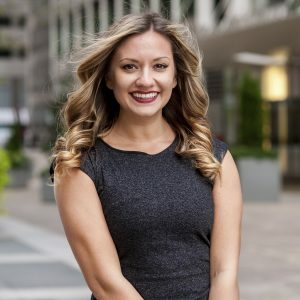 Nora is responsible for developing the firm’s marketing, social media, and public relations programs. Her career accomplishments include founding and building an independent marketing consultancy, NF Design, under which she provided social media management, logo design, and strategy for local businesses. She has also served in marketing roles at Valley National Bank, Golf Performance Institute, ANCERO, and Compass Group @ Rowan University. Nora has experience designing marketing materials, creating annual marketing plans, executing email marketing campaigns, and website management and design.